While we're on holiday, we often spend more time outdoors in the sunshine - whether we're on the beach or at sea, our skin is exposed to more harmful UV rays than usual, putting us at risk of sun damage and spots. Heed our advice and prepare your arsenal of skincare products and UV protection to keep your skin looking crystal clear, well-hydrated, and flawlessly radiant on even the most sizzling days. 1. Keep skin hydrated and supple in the blistering heat with Facial Treatment Essence, which works to replenish and retain moisture in the skin while also balancing the skin’s pH and sebum secretion, keeping excess oil at bay. 2. 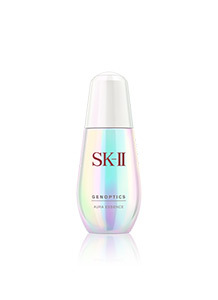 To give skin that glow-from-within look, apply GenOptics Aura Essence after Facial Treatment Essence. This lightweight brightening essence helps to even out the skin tone and banishes dullness to reveal skin’s inner radiance. 3. For a flawless and radiant complexion, use Atmosphere CC Cream to conceal any imperfections while the active ingredients work beneath the surface to help reduce the appearance of spots and illuminate the skin. This moisturizing CC cream also boasts SPF50 PA++++, ideal for protecting your skin when the sun’s damaging UVA and UVB rays are at their strongest. 4. Carry the Mid-Day Miracle Essence with you when you leave the house for additional moisture boosts throughout the sweltering day. The convenient Pitera™-filled spray acts as a refreshing pick-me-up for skin, boosting its hydration levels, and can even penetrate through makeup without messing up your look. 5. 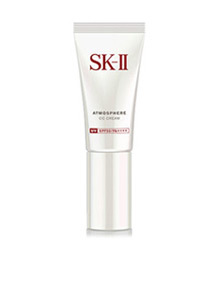 After being out in the sun all day, apply Facial Treatment Essence to your face to soothe the skin. 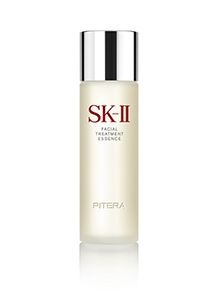 Containing the highest concentration of Pitera™, the essence promotes skin cell renewal to refresh and soothe sunburnt skin, helping to reduce damage caused by the sun.